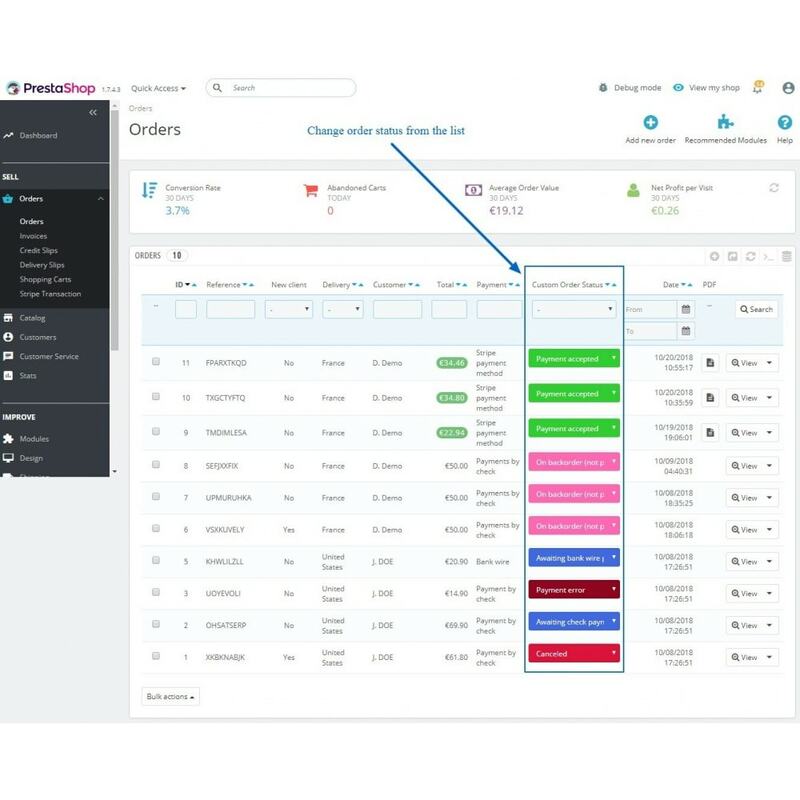 Module will help to admin to change their order status without open it. Status can be changed by order list by selecting dropdown. Even when order status will change an email will send to customer regardin order status. It will save admin's time. Admin can easily change order status. Admin can easily check status of the order from the order list. Email will be send when order status changed by drop down. 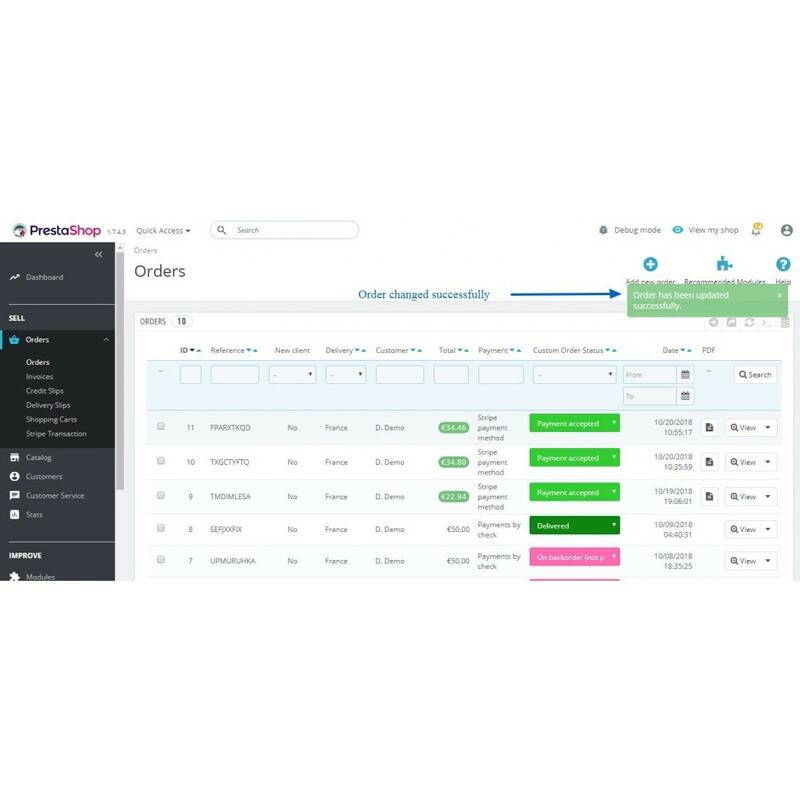 Easy to manage all order status by order list. 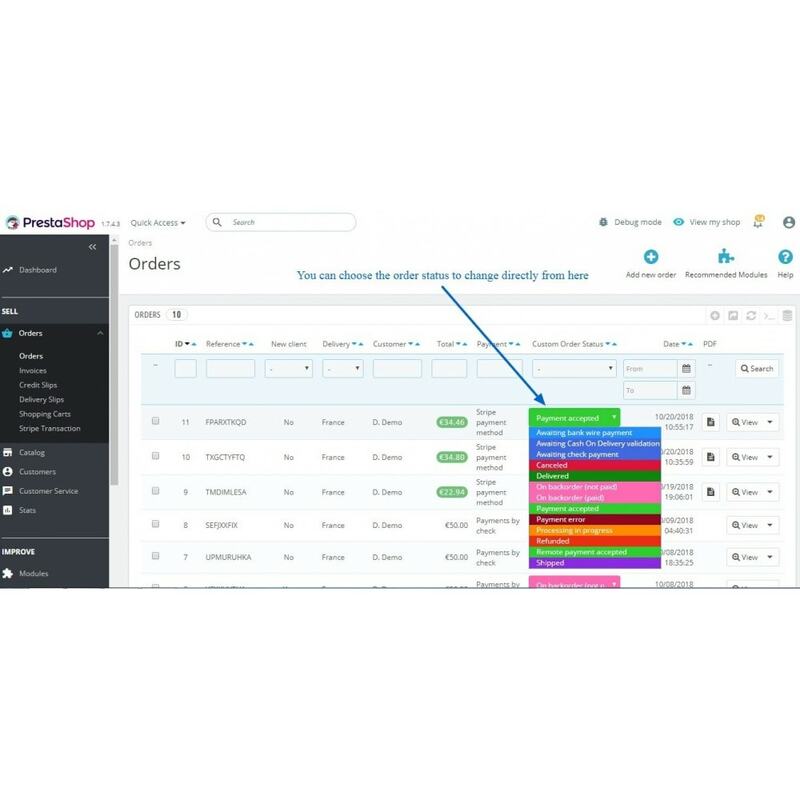 All status of the order can be viewed from the order list without open any order. New look of order status with multiple drop values to change order status. The Pharaon is a Responsive theme which will excellently fits for stores selling phones, devices and accessories. Theme is responsive and supports all devices, user-friendly and fine-looking will be the best solution for your business!